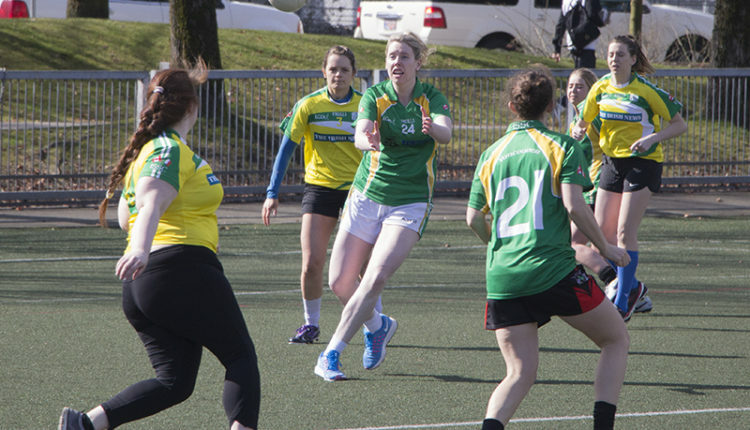 Lorraine Muckian, development officer for the Irish Sporting and Social Club Vancouver, said that while Irish players living in Vancouver are the core of the ISSC, there is a high turnover rate as many come to city on temporary work visas. 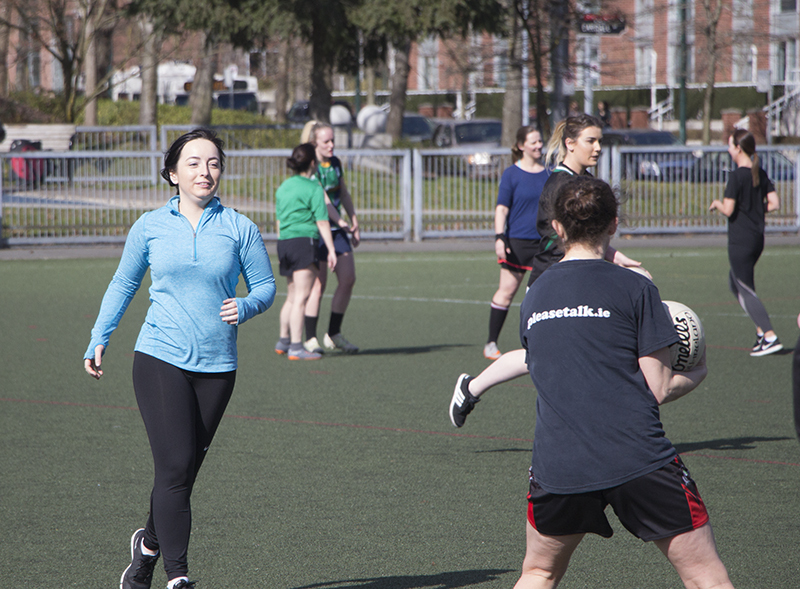 Reaching out to established Vancouverites—especially young people who can grow into the sport – is the sport’s long term sustainability strategy. 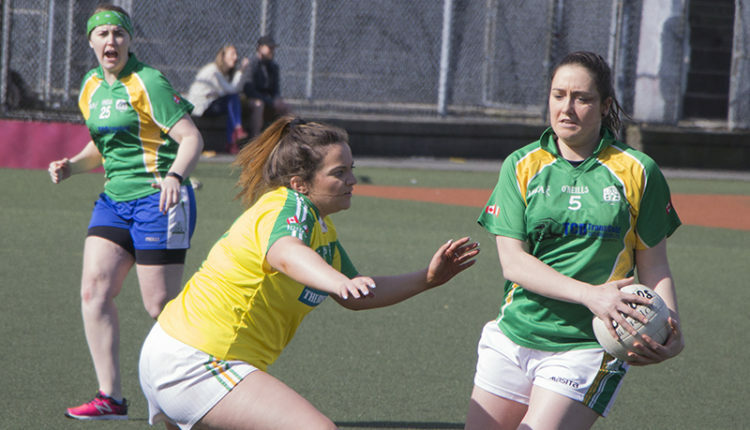 Gaelic football, hurling and camogie are played in Ireland at local and county levels. 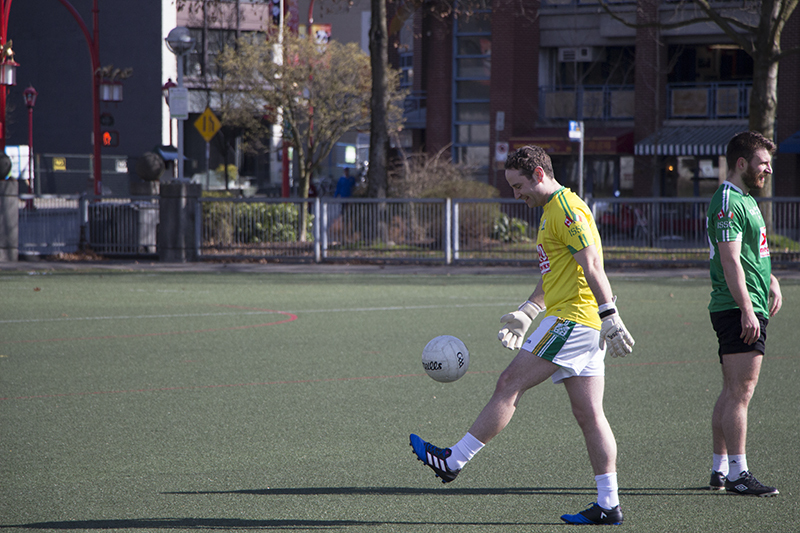 Children often begin playing in primary school, creating a talent pool which funnels into the adult leagues. 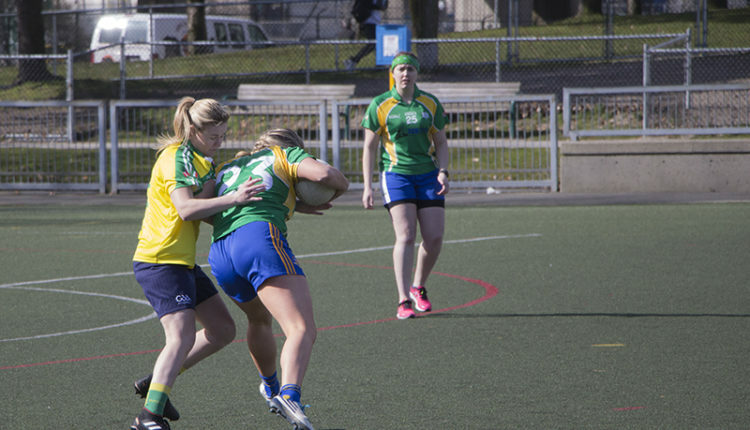 In Vancouver, the ISSC women’s football and camogie teams often play matches in Memorial South Park. 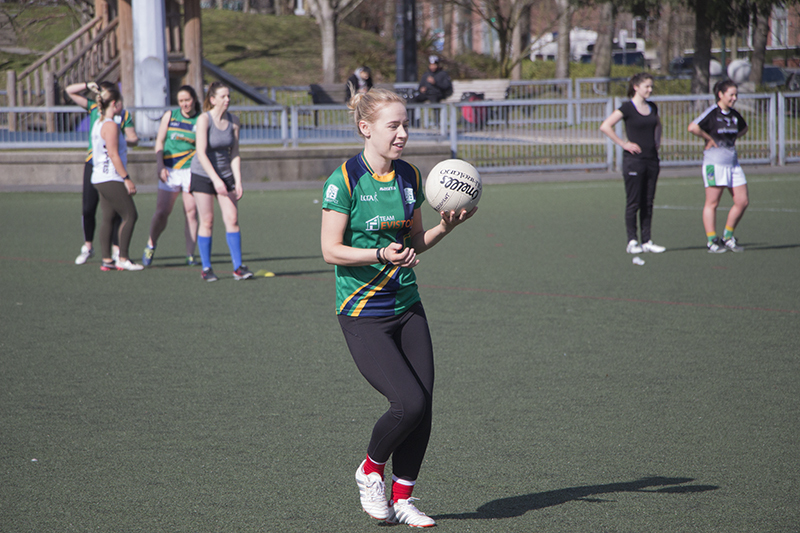 Maria Eviston, the club’s first female chair in decades, said locals would enjoy the novelty. 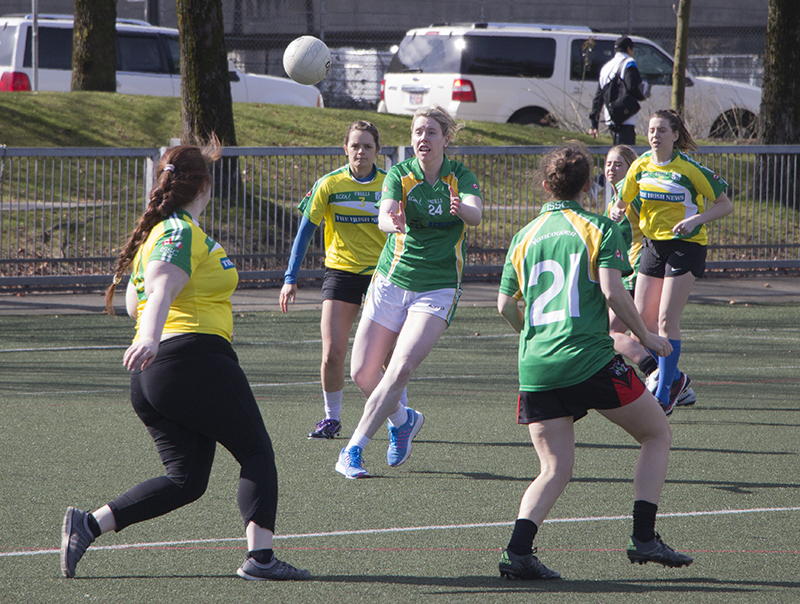 Muckian said that despite the daunting difference of these games, there is a way in for non-Irish individuals. 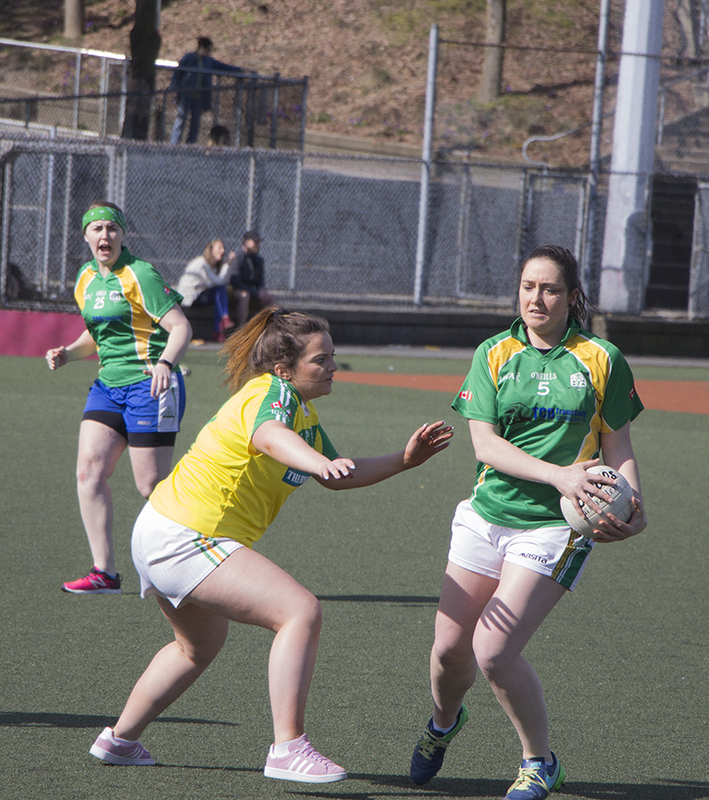 In her experience, hurling has a steeper learning curve for Canadians than gaelic football. 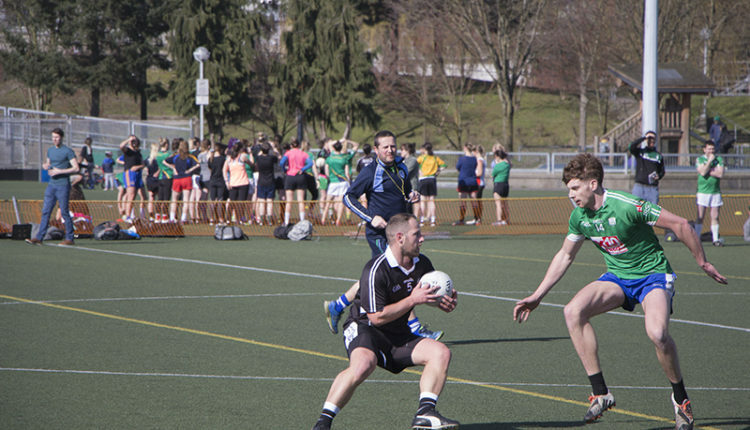 But, anyone with a background in lacrosse or hockey would find similarities. 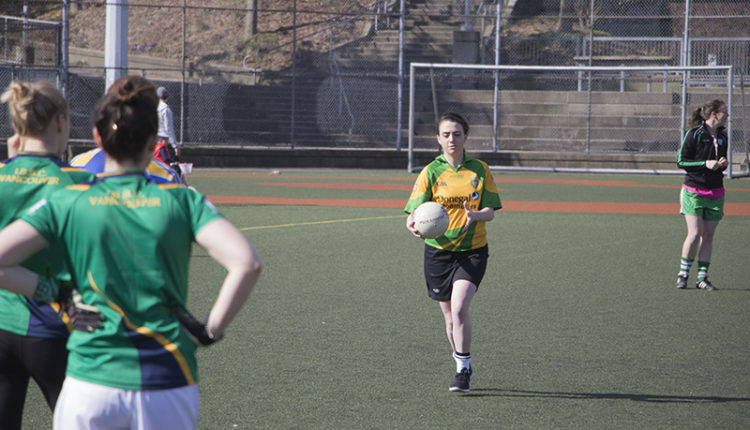 “It’s quite an explosive sport as well, speed is very much a part of it, it’s fast-moving, its high scoring,” she said. 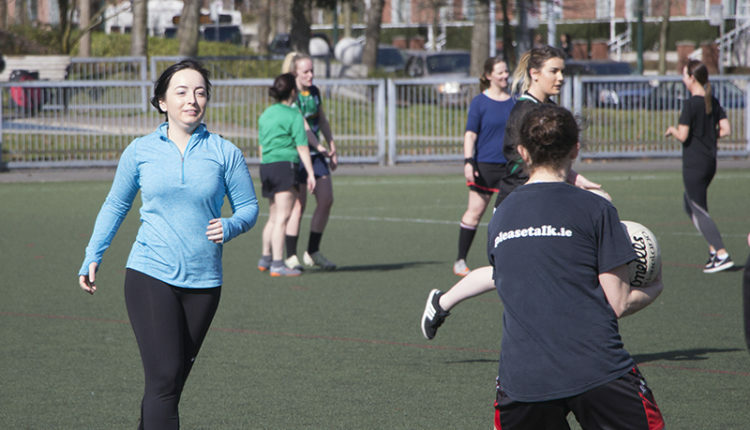 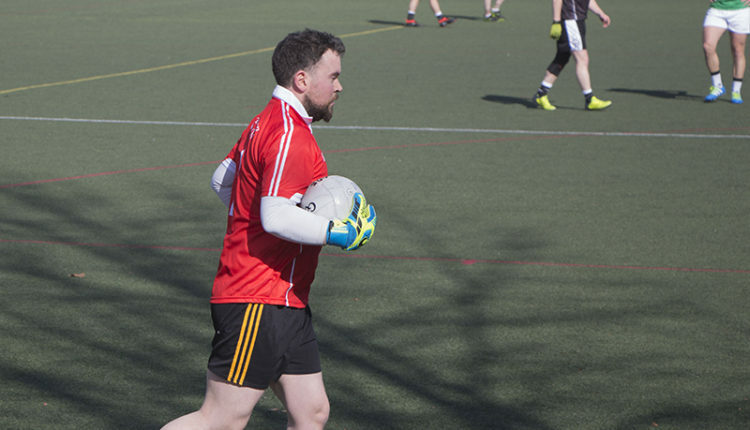 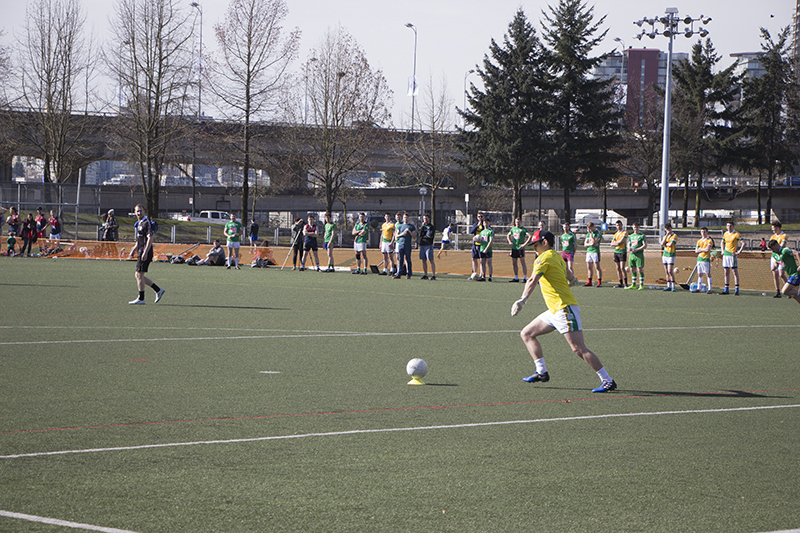 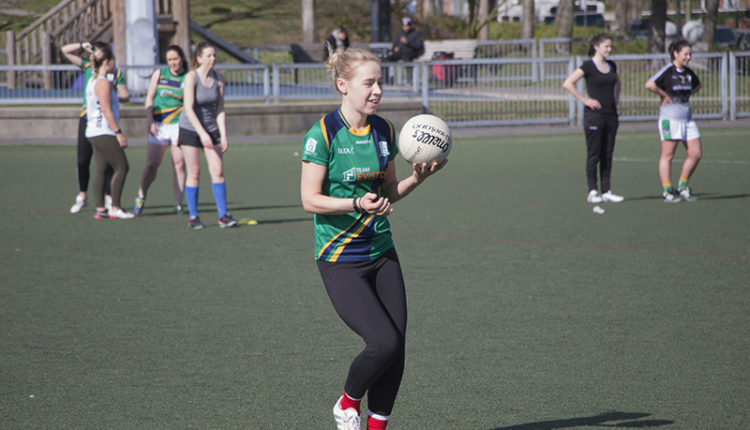 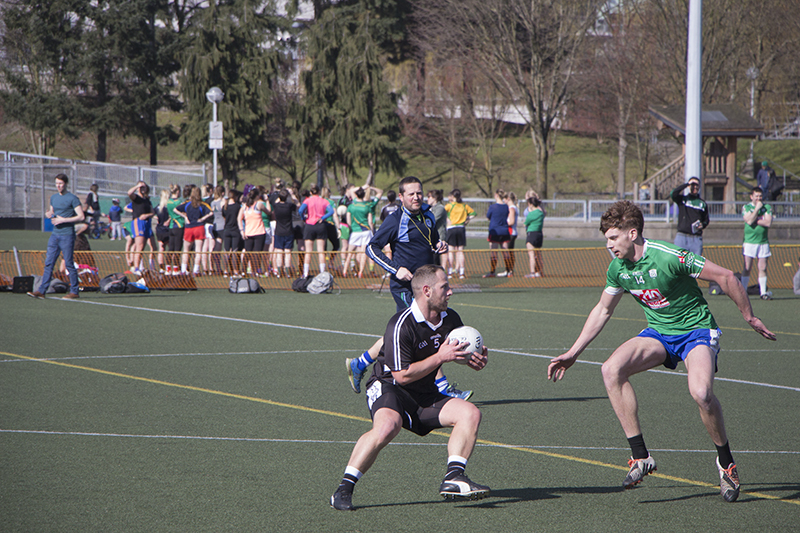 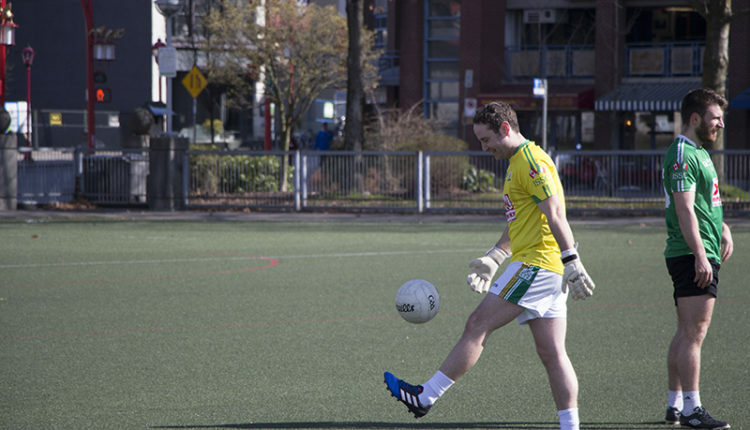 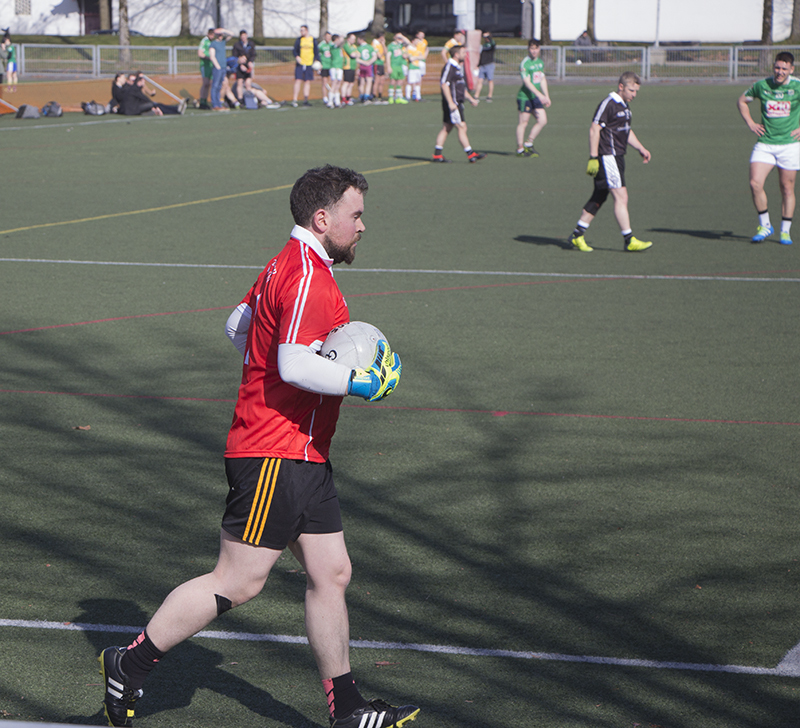 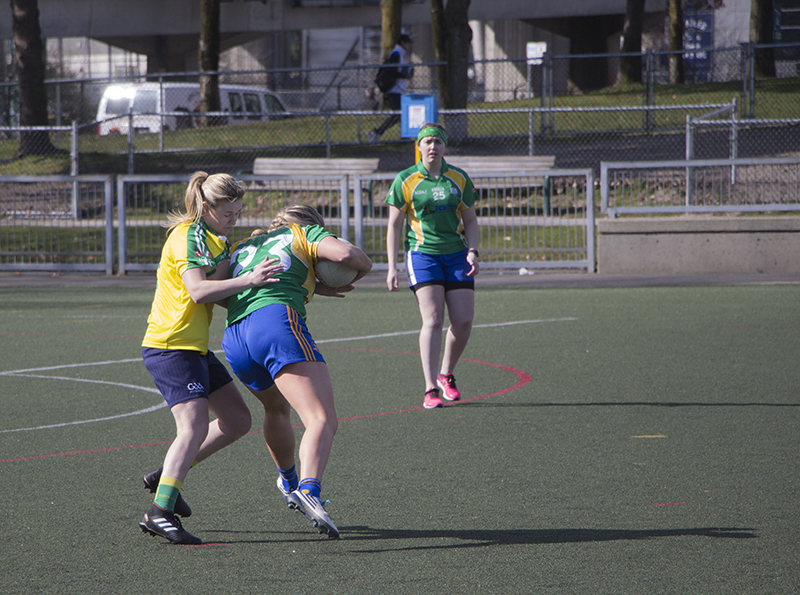 Megan Monaghan, a gaelic football player, has used the club to form friendships since moving to Vancouver and said learning a niche sport is a surmountable challenge for sporty folks. 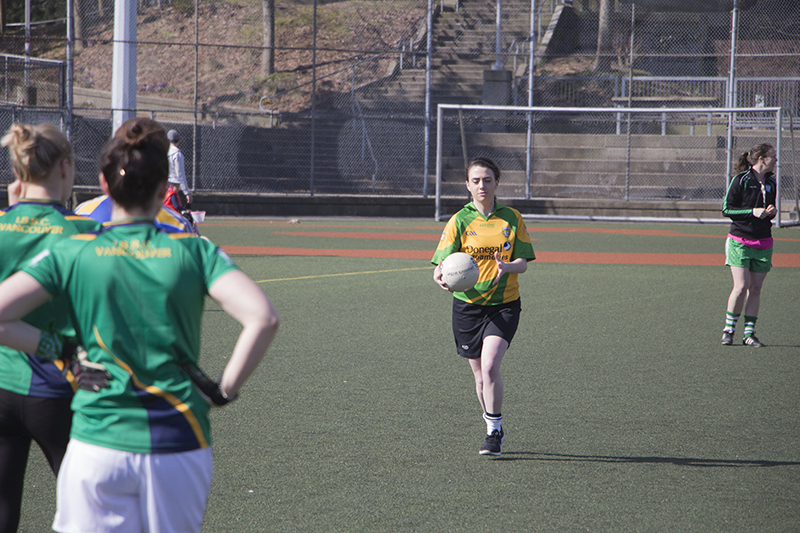 A Gaelic football player walking back to her group after completing the exercise. 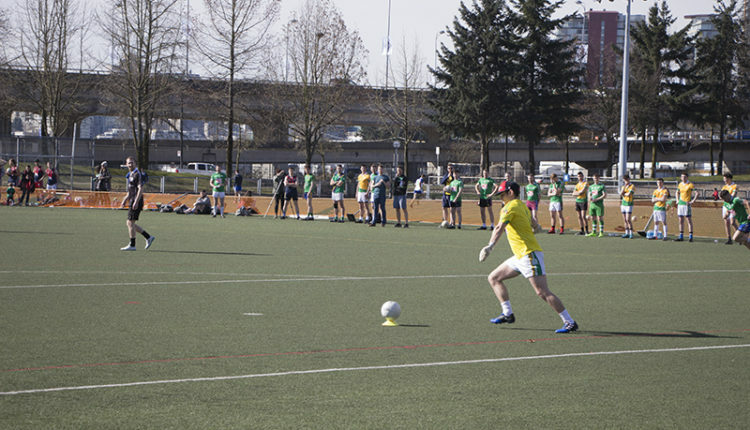 Photo by Agazy Mengesha.